Crossing into Myanmar (Burma) by land was quite the adventure. I left Thailand for Myanmar via a remote border crossing (Phunamron/Htee Khee) that was opened less than a year ago. 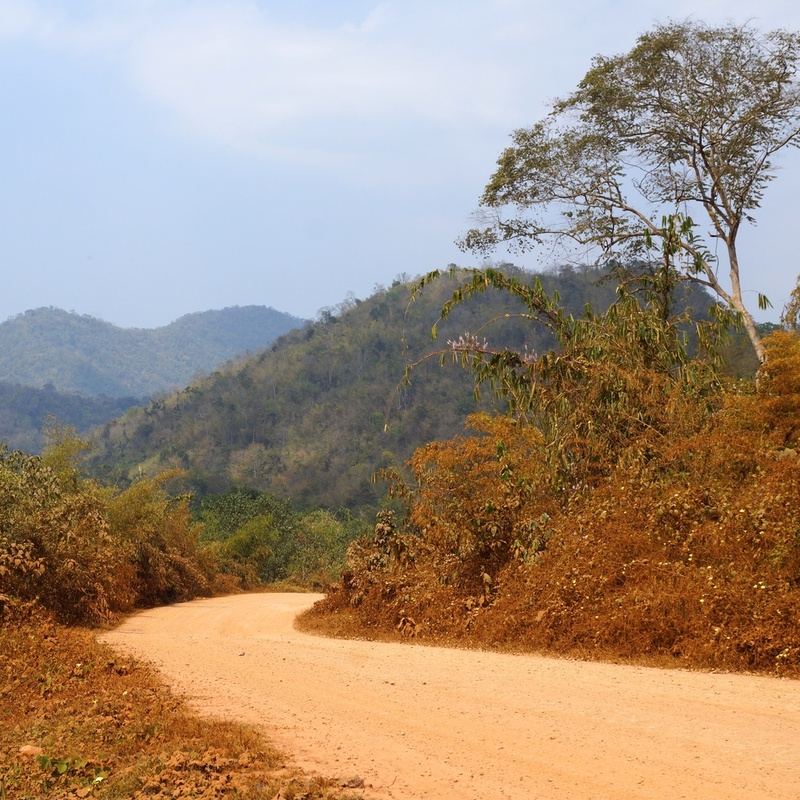 The dirt rode we took through the mountains was windy and slow – it took us 6.5 hours (to drive 125 km/77 miles) to reach Dawei, the first city after the border. 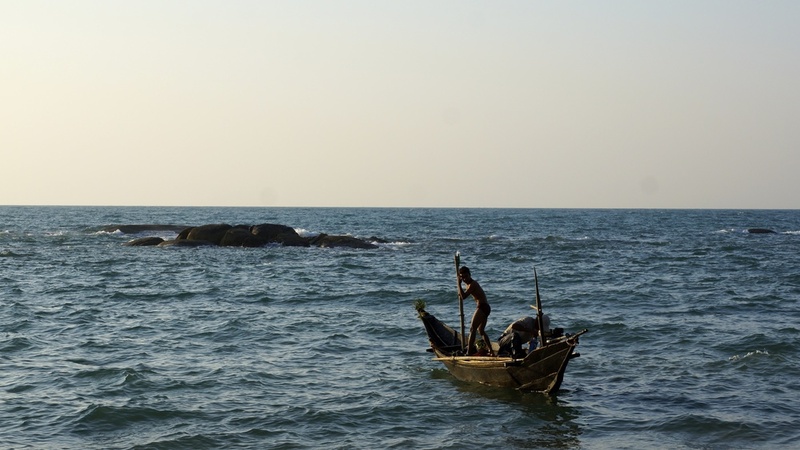 Dawei was my first and favorite stop in Myanmar. For months I dreamed about seeing the famous temples of Bagan and the beautiful scenery of Lake Inle. 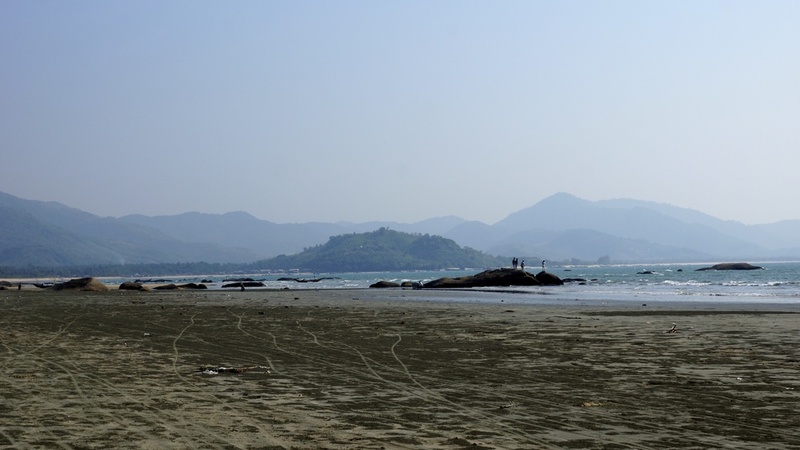 Although I loved both of those stops, Dawei and the surrounding area was the real dream. 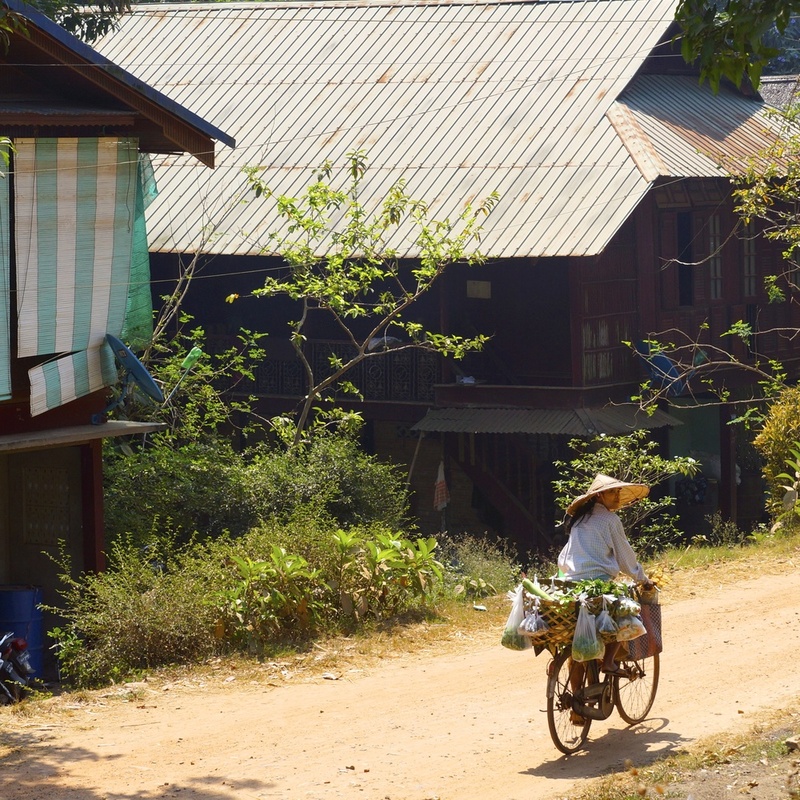 Dawei is a small city, yet a busy one; the markets aren’t tourist traps – they are daily life. I couldn’t have conversations with any of the stall owners since their English and my Burmese both stopped at “hello,” or “mingalabar”, but in Dawei a big smile is enough. As I walked through the market I snapped a few photos. At first, I hesitated to take photos of people since I didn’t know how they might react. So I began to ask, while playing charades. Not once did anyone say no. In fact, everyone I asked had a smile that spread even larger across his or her face. There was one stall owner in particular that shocked me. I asked to take her photo. When I showed it to her, she gave me a gift. In many parts of the world people ask for money if you take their photo – she was gifting me some of the dried cherries she was selling because I took her photo. The mentality was so different from what I am used to. Women, and men to a lesser extent, continue to wear Thanaka – an off-white, yellowish paste made from ground bark – on their faces. It’s a tradition dating back nearly 2,000 years in Burmese culture; it’s a sign of beauty, and it also protects and cools skin in the intense heat. Longyis, a sheet of cloth worn like a long skirt, are still widely used in Myanmar (by both men and women). Especially when if you’re outside of the larger, more modernized cities. The patterns on the longyis vary by region. It was both refreshing and incredible to see a part of the world where tradition was valued much more than western culture. 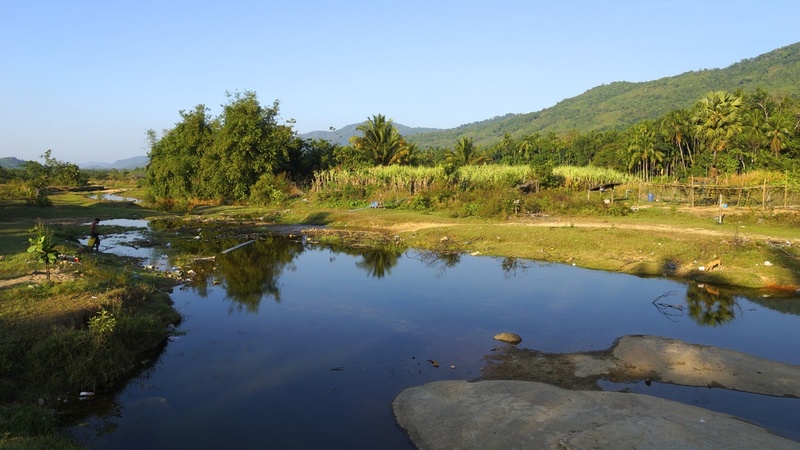 Dawei is one of the few places in Myanmar where tourists can rent a motorbike. Our second day in town, we hopped on a bike and set off for what turned out to be one of the best days I’ve had in years. First we headed in the direction of Maungmagan beach – the only “constructed beach” in the area. We stopped for lunch in a little bamboo hut. It was low tide and we could ride the motorbike on the sand, so we thought why not and headed South. 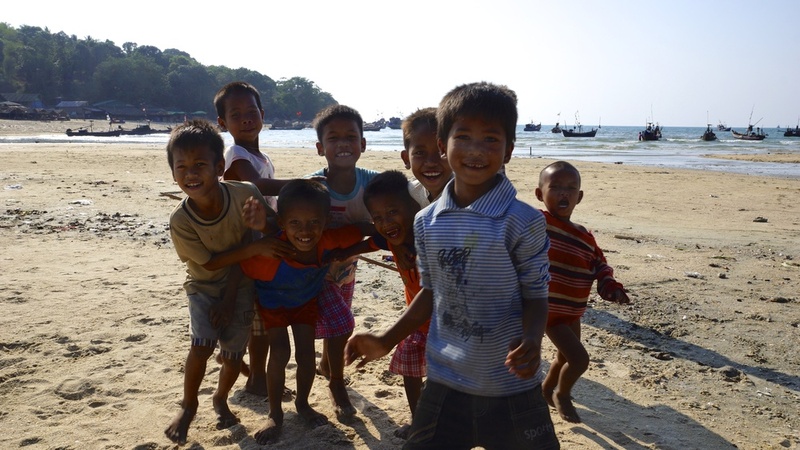 After a few kilometers of riding on the sand we ended up in a small fishing village where we were greeted by dozens of kids playing on the beach – their front yard. Fishermen were arriving with buckets of fish, shrimp, and squid. Everyone stopped to smile and say mingalabar. We continued on. We found untouched beaches where there was no one in sight for miles, except two fishermen, and ended up in a few more small villages. I stopped to take a few pictures of the pigs that ran after our motorbike. Their owner had a big smile on her face and invited me into her yard to see the rest of the pigs and her home. I was shocked. I wondered why everyone was so happy to see us – tourists. Maybe the area opening up to tourism is a sign that change is in the future, I thought, or maybe it’s simply their form of hospitality. Whatever it is, their joy was contagious. Myanmar left so much more than a stamp in my passport; the people of Dawei and the small towns nearby gave me a piece of their contagious happiness and reminded me that traveling isn’t about seeing the sights, it’s about meeting the people. As tourism advances I know things will change, but I can only hope the people will stay the same. 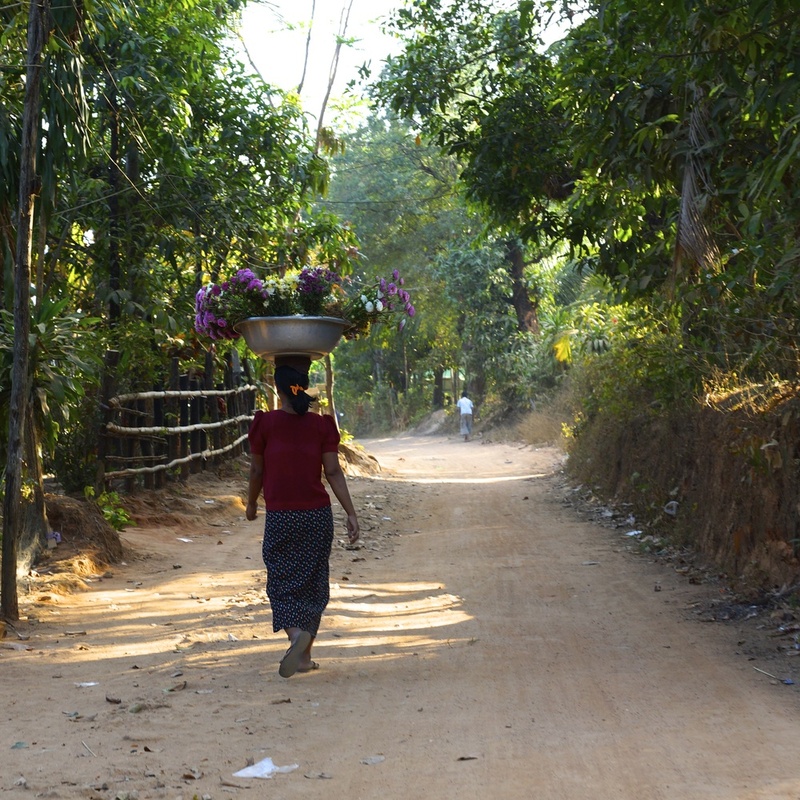 A few more snapshots from Dawei.